i am thinking of taking my laptop apart to have a look at headphone connection (green). will taking all the screws from the bottom be enough or do i need to take the keyboard out to get to any screws. I am not sure if you had to remove keyboard too, but I guess so. The most hidden screws were around the LCD display. You have to remove (just slide to right/left, with enough force) the slim black plastic parts near the display and you will get to screws that holds it. Thanks for this page. 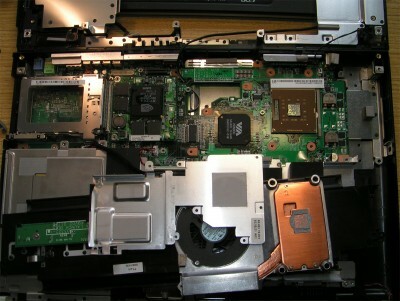 I am owner of acer aspire 1363wlmi and my question is if there is some way to put the bluetooth inside the laptop? u know what I mean there is a buton on the laptop next to wifi buton but there is not bluetooth inside . I am using the one via USB port but I think this would be better. I did ask about that bluetooth for aspire 1363 wlmi. Any idea how to get it inside?